When you think of "Rockstar", you think of the guitar. The guitar is an extremely versatile and fun instrument with a wide range of sound possibilities that is guaranteed to make you rock! 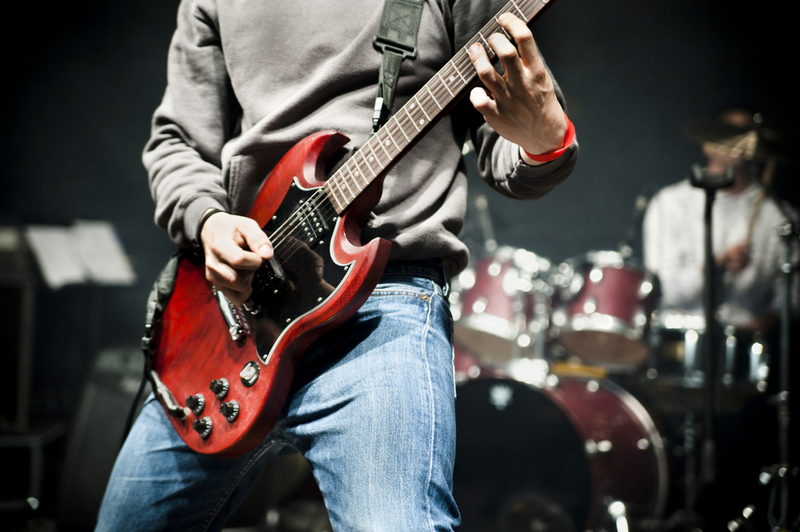 Check out our free guitar resources and take your playing to the next level! Whether you're singing in the shower or in front of thousands of people, your voice is something that is with you 24/7. Learning how to avoid injury and maintain healthy singing habits are crucial when it comes to taking care of your voice. View our free singing articles! One of the most popular instruments of all time, the piano can range from classical all the way to modern day sounds we hear in everyday music today. Learn to play piano with confidence and proper technique with our free piano articles! Drummers have one of the most important jobs in music and that is to keep a steady and rhythmic beat. Drums are the fundamental backbones to songs and provides rhythm that musicians play along to. Check out our drum articles for free tips on rhythm, practicing, and more! Similar to the drums, bass guitar plays a vital role in keeping a solid rhythm and foundation in music. Laying down a sick groove while having impeccable rhythm will leave the crowd and your band in awe. Learn how to take your bass guitar playing skills to the next level with our free bass guitar articles! Do you have aspirations to write your own music or learn about music theory? What about setting an effective practice schedule? Or parents, how about tips on how to get your kid to practice more and be the Rockstar mom and dad they will love you for? Check out those articles here!